So extreme is this bandana that ARVA didn’t even have time to write all the letters in the word. Or maybe their marketing team just consists of poor spellers. Either way, the Thermoline+ Stretch face protection is a handy tool for doing laps. It’s secured with Velcro, so you can leave it off while you’re huffing and puffing, and then put it on before the down, when you need the extra protection. 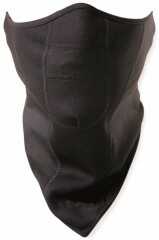 If it’s not quite cold enough to wear a balaklava all day, the removable Bandana Xtrem is the best backup plan. Mesh breathing panel helps prevent suffocation while you’re out there working hard. 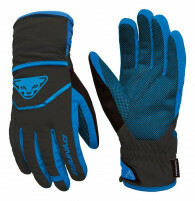 Thermoline® fabric has 4-way stretch and smooth panels so it’s actually comfortable. Windshield inserts stop the wind from frost-biting your face when you’re flying down. Velcro tabs are easy to use with gloves so you can add and remove the protection as needed.